I found this photo recently. 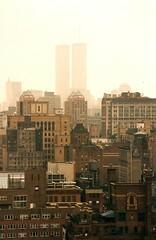 I took it in NYC in 1994. The towers look already so fuzzy, it's creepy.